Technology has taken off, and smart homes are now all the rage. A wireless home intercom system is just what you need, making your home more user-friendly. If you are tired of yelling across the house to get your family’s attention or calling them on the phone when they are just downstairs, then installing an intercom might be the answer for you. Just exactly what is a wireless home intercom system? Well, in short, they are intercoms made for your home that don’t require wired connections. A home intercom system can be either wired or wireless. While wired systems are great if you are building a new home, installation can be a royal pain in the rear in an existing home that wasn’t made with this convenient feature in mind. One of the advantages of a wired system is that it is secure and you don’t have the worry of anyone else listening in on your private conversations. However, when installing the intercom system in an existing home without the help of a professional, wireless is definitely the easier DIY option. Since wireless systems either use batteries or plug into normal outlets, you can have your wireless home intercom system up and running in no time at all. These systems communicate through a frequency similar to that of a cordless phone. A wireless home intercom system can be divided into two main parts: the master station and substations. The master station is essentially the brain of the intercom system. This is the control panel for the entire thing. The master station turns the system on or off and, if equipped with music features, which some of these nifty little systems are, it gives control of that as well. Substations, also known as remote stations, contain a speaker and a microphone. These substations don’t necessarily require a location inside your home. Some of them can be placed outside as well, linking outer areas to the main house at a touch of the intercom. This means you can have a substation at your front door, so you know who is there before you answer it. When determining what wireless home intercom system will fit your home and lifestyle, there are a few things you must consider. As mentioned earlier, the first decision is whether you want a wired system or a wireless option featuring easier installation. It’s important to keep substations in mind, as their locations impact the type of system you choose. Do you only need one substation for your upstairs? Or do you want a substation in every room? Do you only want them inside? Or do you want a substation at your front door as well? How about in your garage, or the patio? If you foresee an expansion to your wireless home intercom system in the future, make sure that the substations you will install later are compatible with your existing system. If you want substations in outbuildings, like your garage, verify that the signal will reach that far. Most wireless systems have a range of about 1,000-1,500 feet. Think about what features are most important to you. Is your budget the number one consideration? Do you want a system with voice-activation? Or maybe you want a system with video capabilities so that you actually see who is ringing your doorbell. Also, keep in mind that some systems only allow for communication between the master station and substations rather than substation to substation. Installing a wired intercom can get expensive in an existing home, but a wireless home intercom system is surprisingly affordable. The cost of any system comes down to how many substations you need. If you only want a master station upstairs and a substation downstairs, the costs will be less. As you add substations, the cost will go up accordingly. Most substations for wireless systems cost somewhere between $100-$300. However, there are a few quality products available for as little as $50. The good news is that since you can buy substations individually, you can still update your home with a state of the art wireless home intercom system even if you can’t afford a hefty up-front investment. This is a fabulous system. 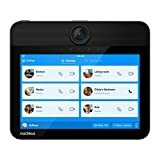 The Nucleus Anywhere Intercom with Amazon Alexa is family friendly. This wireless intercom system was “designed for everyone.” This means that not only can the kids work the Nucleus intercom, but grandma can too. 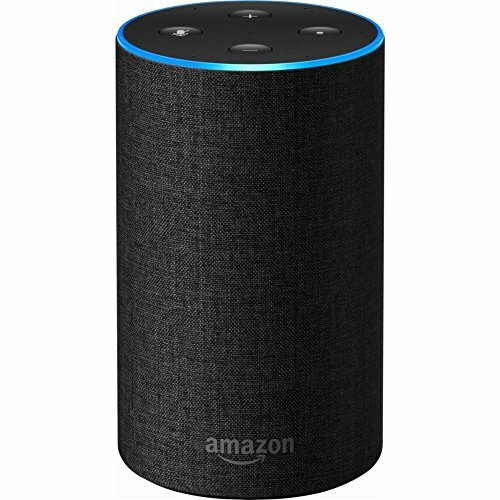 Using Alexa, this system allows you to make both audio and video calls. There is also a mobile app that lets you check in from anywhere. This video intercom system allows users to connect room-to-room, home-to-home, and even mobile-to-home. With the power of Alexa and a touch screen that is exceedingly user-friendly, the Nucleus truly has it all and is the perfect addition to any smart home. A two-pack intercom system will run you just under $300, making this one of the more expensive options. The Sancom Wireless Intercom System lets you buy up to six substations in one package. Although this system does not have video capabilities, it does provide quality audio. The Sancom system also allows for one-to-one conversations or one-to-many, so you can talk to more than one substation at a time. This wireless system is also supported by Power Bank, which means the device is portable and compatible with other devices that share the same digital channel code, regardless of the brand. A system with six stations will cost you more than $200, but with only two stations you are looking at spending less than $100 to get started. 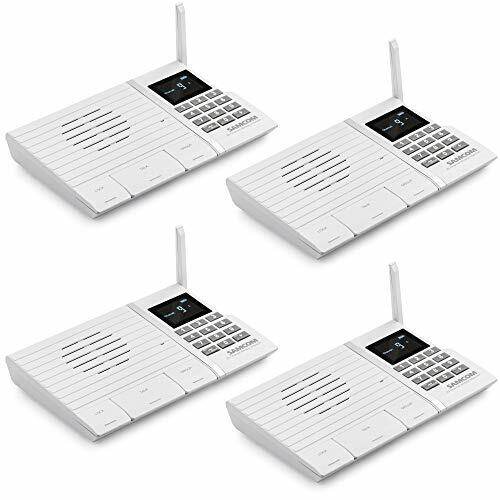 This wireless home intercom system by Hosmart is an affordable option. Although it does not offer video features, it does provide up to 10 hours of monitoring at one time. The Hosmart intercom provides users with crystal clear audio and a conference call mode so that you can communicate with more than one substation at once. 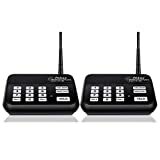 This system also allows you to add a wireless intercom doorbell system as well as portable walkie-talkies. The Hosmart is one of the most affordable home intercom options on the market, with a price tag of only $69.99 for a starter kit. 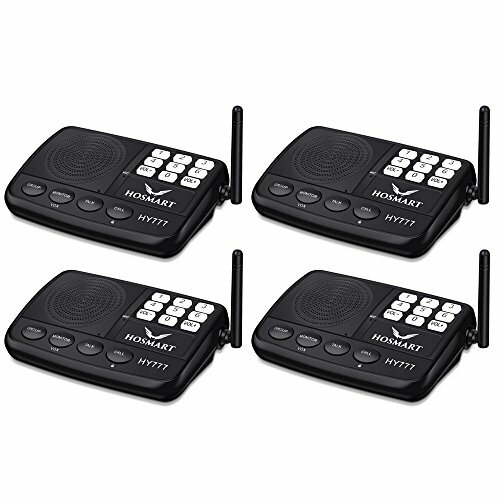 The TekeyTBox wireless home intercom system boasts multi-channel capabilities and a range of a whopping 1800 feet. It also offers 10-hour monitoring and lets you hold group calls with all the substations connected to your system. Because the TekeyTBox is supported by Power Bank, this system is portable and compatible with other devices of different brand names, as long as they use the same digital channel code. You can buy a starter system with two stations for only $69. 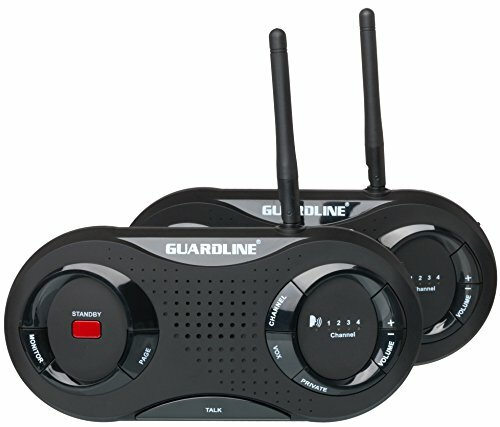 This wireless home intercom system by Guardline has a super easy setup. Even those without advanced tech skills can have this intercom up and running in less than five minutes. The intercoms themselves can be mounted on a wall or you can just sit them on your counter. Their small size makes them very portable. Guardline intercoms only have a range of 500 feet, but you can pair as many as 16 devices throughout your home. This system also provides high-quality audio and a monitoring mode. The initial two stations are priced at only $89.99. The Echo Show wireless home intercom system connects to other echo devices throughout your home. The Echo Show also lets you call family and friends who have an Echo Spot, Echo Show, or even just the Alexa App. This device lets you play music via streaming services such as Pandora, Spotify, and iHeartRadio. 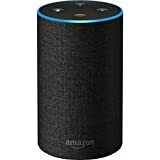 Thanks to Alexa, the Echo Show can be used to control a wide variety of home automation devices, including cameras and thermostats, among others. The Echo Show is priced at $229.99, making it one of the more expensive options for a wireless home intercom system. 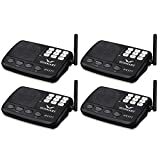 When trying to decide which wireless home intercom system is the best for your home, you have to first make up your mind exactly what it is you are looking for. As with most things, there is no one size fits all answer. If you want all the bells and whistles, including video capabilities, then you can’t go wrong with the Nucleus intercom system. On the other hand, if you are on a budget and only need to be able to communicate with one other room in your house, a lower priced system may fit your needs without the extra cost. To make an informed choice, look at what it is that you really want out of a system. Do you want to see who is at your door? Monitor a child or an elderly loved one? Or do you just want to be able to tell your spouse that dinner is ready without having to run across the house or scream like a maniac? 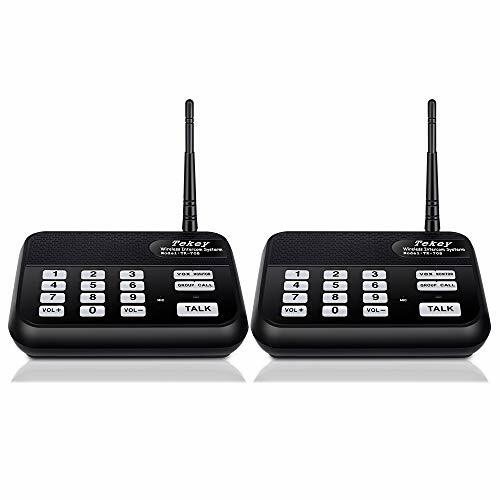 Verify that the range of the wireless home intercom system you are interested in will meet your needs. For example, you don’t want to buy an intercom that only has a range of 500 feet when the rooms you plan to connect are 1,000 feet apart. And last but not least, even if you want to start off with only two substations, consider how difficult it will be to expand your wireless home intercom system in the future.